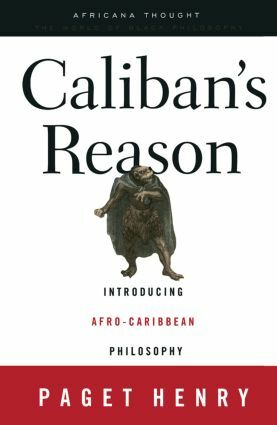 Paget introduces the general reader to Afro-Caribbean philosophy in this ground-breaking work. Since Afro-Caribbean thought is inherently hybrid in nature, he traces the roots of this discourse in traditional African thought and in the Christian and Enlightenment traditions of Western Europe. Paget Henry is Professor of Africana Studies and Sociology at Brown University. He is author of Peripheral Capitalism and Underdevelopment in Antigua (1985) and co- editor of Newer Caribbean: Decolonization, Democracy and Development (1983) and C.L.R. James' Caribbean (1992).